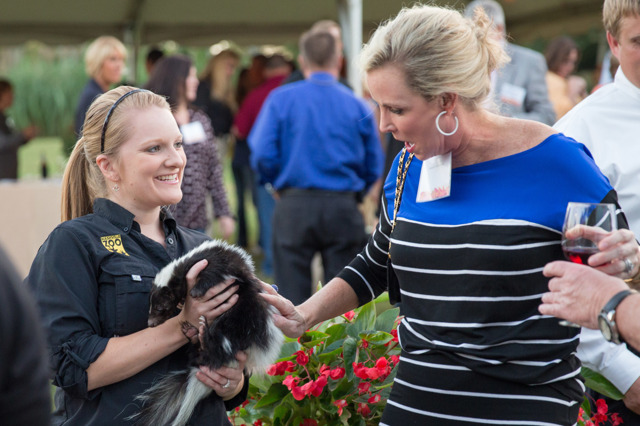 There is no better way to stand out in the pack than to host an evening at Nashville Zoo. 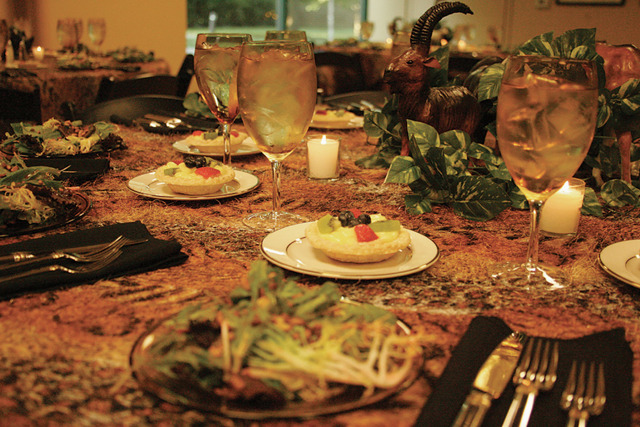 Our on-site caterer, Taste, serves only the freshest and highest quality product, offering delicious menus and a la carte options to accommodate every palate. Call our events sales office at 615-833-1534 x190 or fill out an online form for more information. View our venue guide (PDF) and start planning! Our most popular venue option, Jungle Terrace surrounds guests with lush landscape and the sounds of wildlife. 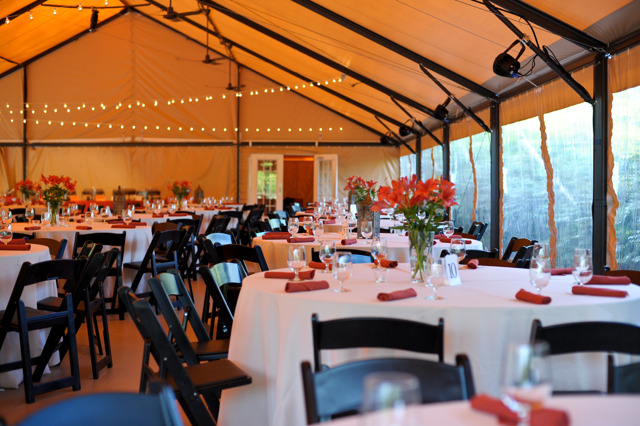 With the Zoo as your backdrop, this covered tented area is ideal for company picnics and client appreciation parties. 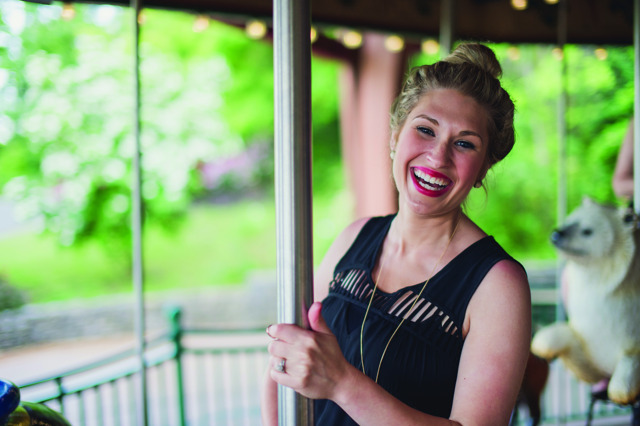 The Wild Animal Carousel adds fun to any celebration. 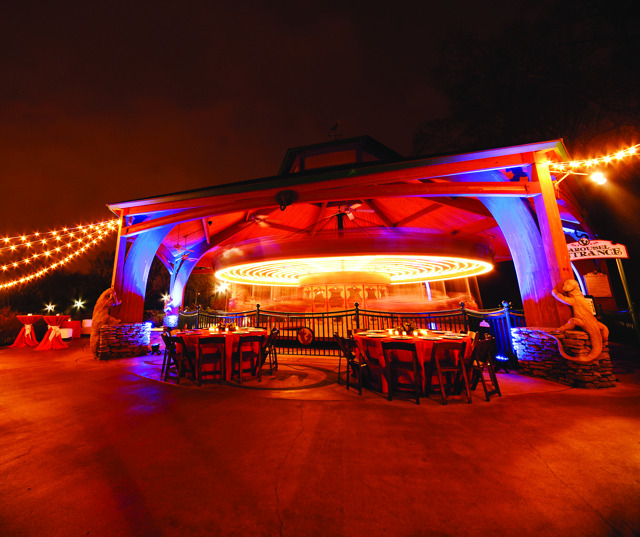 Experience the carousel with ride tickets during the day, or add a cocktail or dessert hour to an evening event. 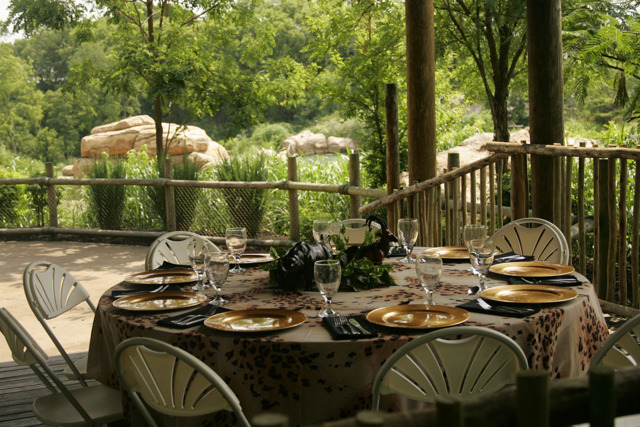 Let our herd be your hosts at this secret hideout nestled in the Africa Savanna. Let your guests visit with our famous Australian exports at Kangaroo Kickabout before enjoying dinner or a cocktail on the rustic covered bridge. 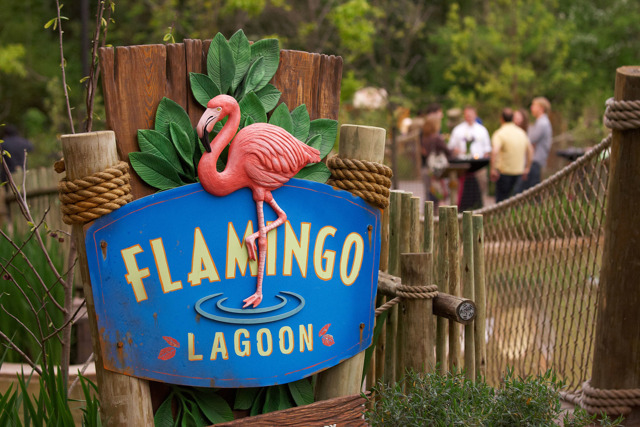 Have drinks with the lizards, turtles and frogs before moving outside to enjoy the peaceful sounds of the Zoo in the evening. 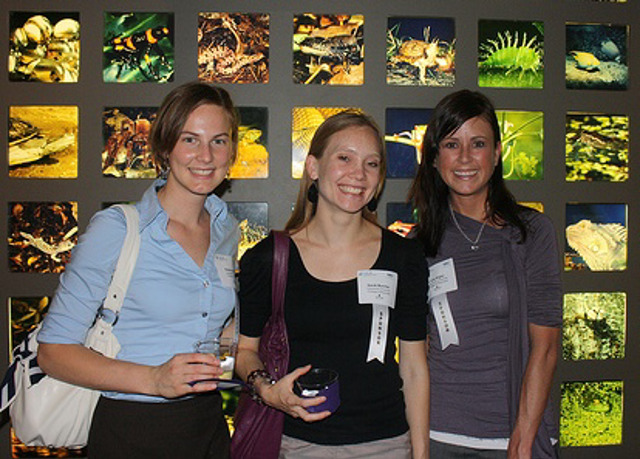 The Gallery can go from a business lecture to a company dinner in one day. With convenient access to the main parking lot, this is the ideal meeting location that will certainly give your guests something to tweet about. 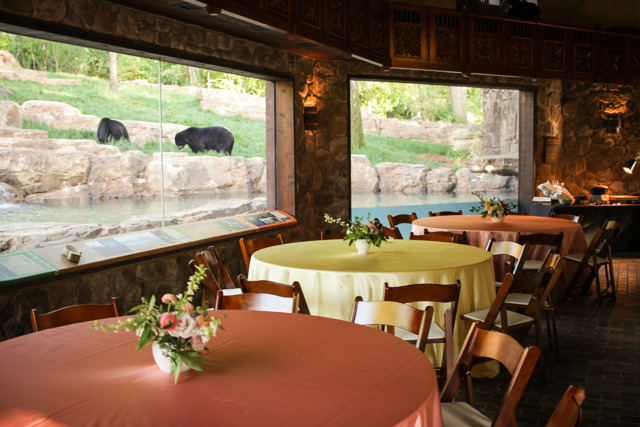 Join the bears for a intimate dinner party or cocktail hour that will have your guests roaring with excitement. Nowhere else in town can you get your picture taken with a giraffe or have a chinchilla greet your guests. 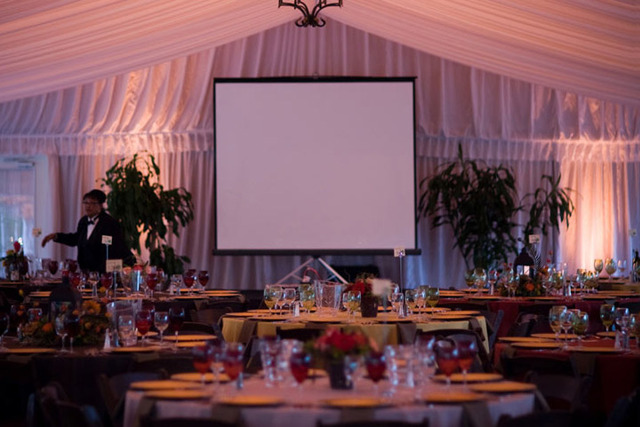 Host an event that stands out with these venue enhancements. Prices vary for each enhancement, with something fun for every budget! 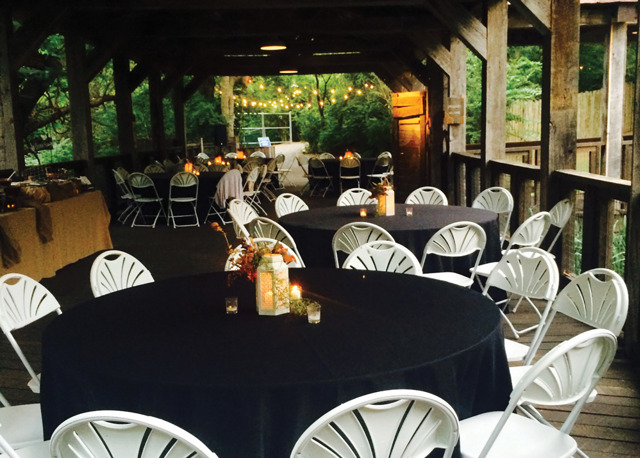 Call our events sales office at 615-833-1534 x190 or fill out an online form for more information.